Want to know some hacks that will make cooking a breeze? Well, check this out! 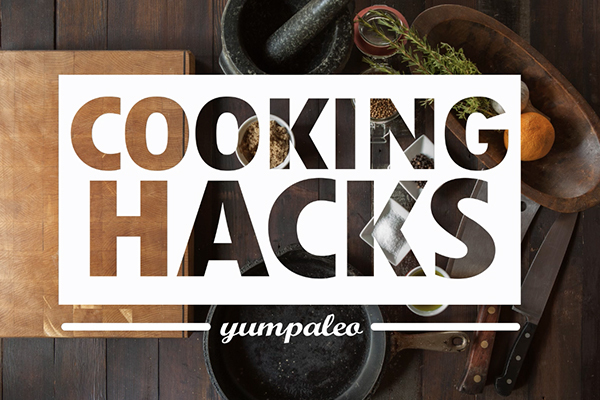 We have lined up a list of Cooking Hacks you should know about. Use these tips to make meal preparation effortless and hassle-free. Hack#2: Wet your fingers before reaching for the shells floating in the egg. Hack#4: Peel ginger using a spoon to scrape off skin without removing any excess ginger. It is also easier to get into the nooks and crannies of the ginger roots. Hack#6: Using unscented dental floss will cleanly cut cakes, cheese and other soft foods. Hack#7: Grill fish on a bed of lemon. This will keep fish from sticking and breaking up and while adding a delicious, zesty flavor. Hack#8: Open a jar with a bottle opener. Gently lift the edge of the jar’s lid until you hear the seal pop, then unscrew. Hack#9: Use an envelope as a funnel. Snip a hole in the corner of the envelope to make it a funnel. Hack#10: Cut multiple tomatoes in half at once using two plates. Lay tomatoes on a plate and place another plate on top. Then, run a knife through the gap between the two plates. Hack#11: To easily peel hard-boiled eggs, place it in a jar and put enough water to cover the egg. Place your hand on the jar and shake it hard. The shell will easily come off. The same goes with peeling garlic – just minus the water. Place a garlic bulb in a jar, cover it with the lid and shake hard. The sulk will fall right off. Repeat these steps to peel the skin off. Hack#12: Tongs can be used to juice lemon. Place cut lemon between the gap of the tongs and extract its juice by squeezing. Hack#13:Put a peeled onion in hot water for three minutes before chopping so it doesn’t hurt your eyes. Hack#14:To store asparagus up to two weeks, place it vertically in a jar with the buds at the top. Add some water to cover the bottom of the asparagus and cover it with plastic. Be the first to comment on "Cooking Hacks You Should Know About"